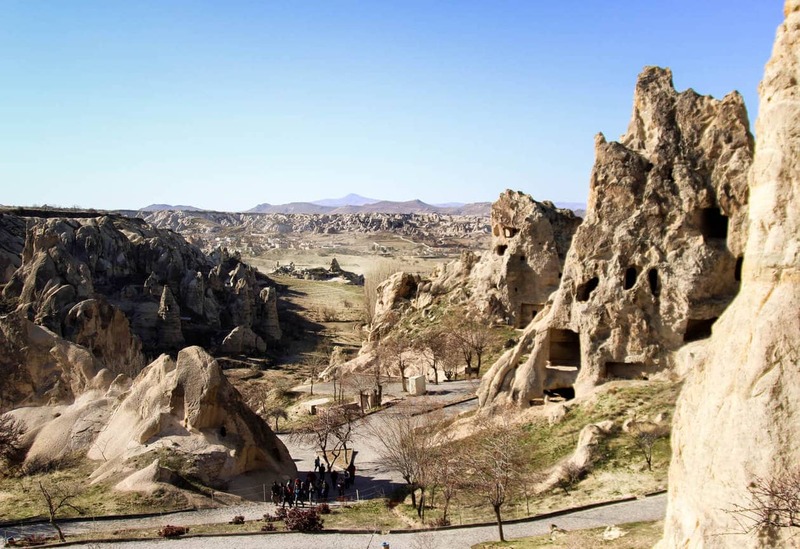 Multiple sources highly recommended that our first stop in Cappadocia be the Goreme Open Air Museum. Even the front desk lady at our hotel circled it’s location on our map several times and stated that it was the most important stop. Point taken. 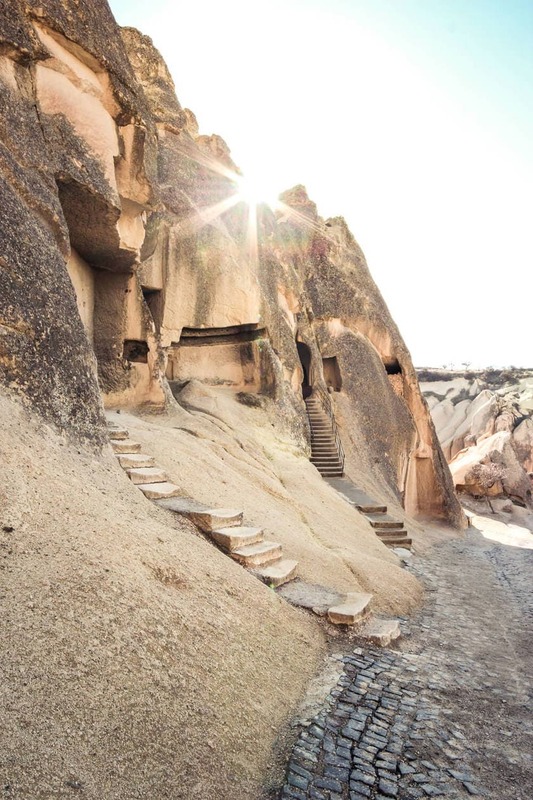 Cappadocia has over 250 cave churches, with The Goreme Open Air Museum containing the greatest and best preserved collection in the region. 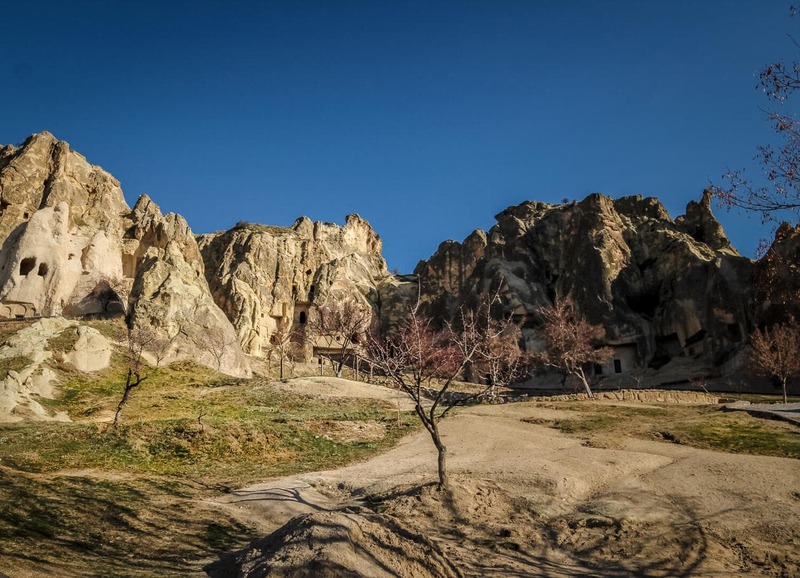 Cappadocia played an important role in the early spread of Christianity. Those fleeing persecution settled down here and by the end of the 2nd century a large Christian community had formed. 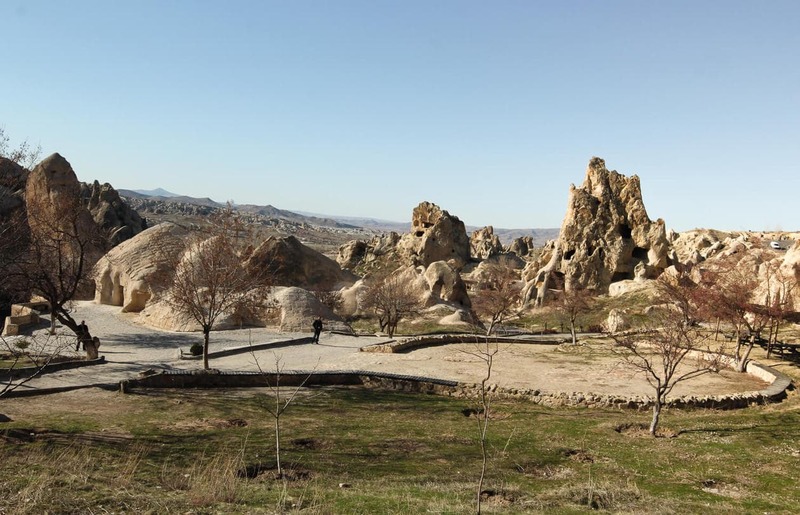 In the 4th century, Cappadocia became known as the land of the three saints; Saint Basil, Saint Gregory of Nyssa, and Saint George of Nazianus. St. Basil introduced worship within the community and is remembered as one of the most influential figures in the development of Christian monasticism. 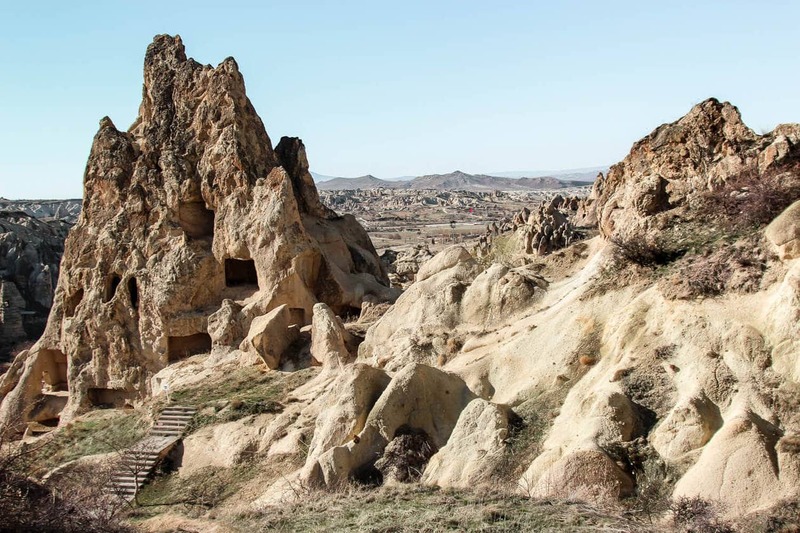 The monastery and churches within the The Goreme Open Air Museum are a product of St. Basil’s influence and teachings. 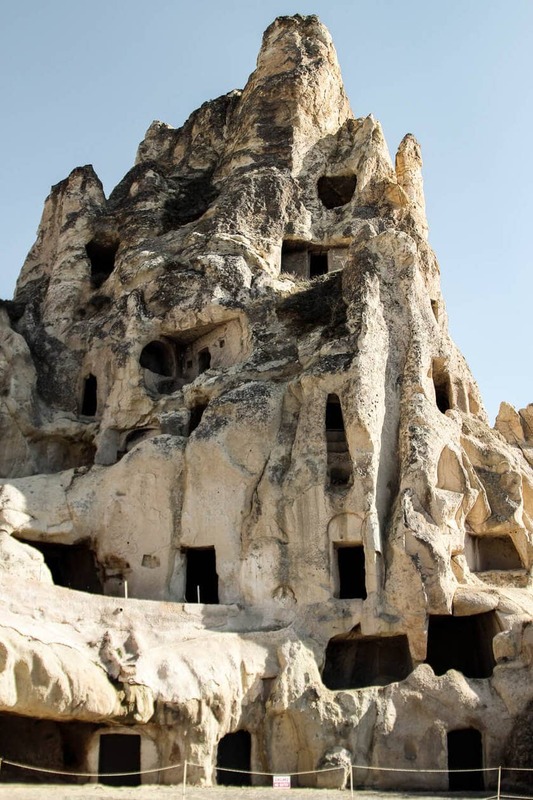 The Goreme Open Air Museum is a collection of monasteries, each with it’s own unique church. 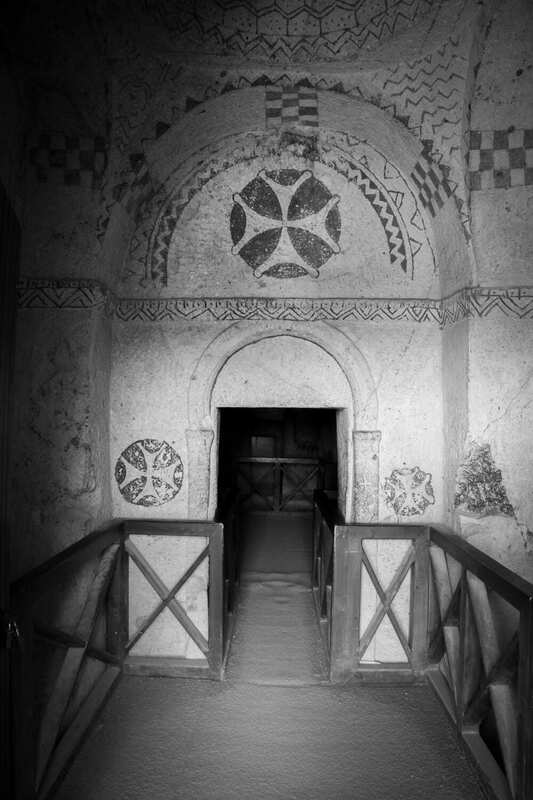 The walls of the churches are decorated with Byzantine era paintings of Biblical scenes. Starting at the entrance of the museum you can basically walk in a circle, popping in and out of each one at your leisure. 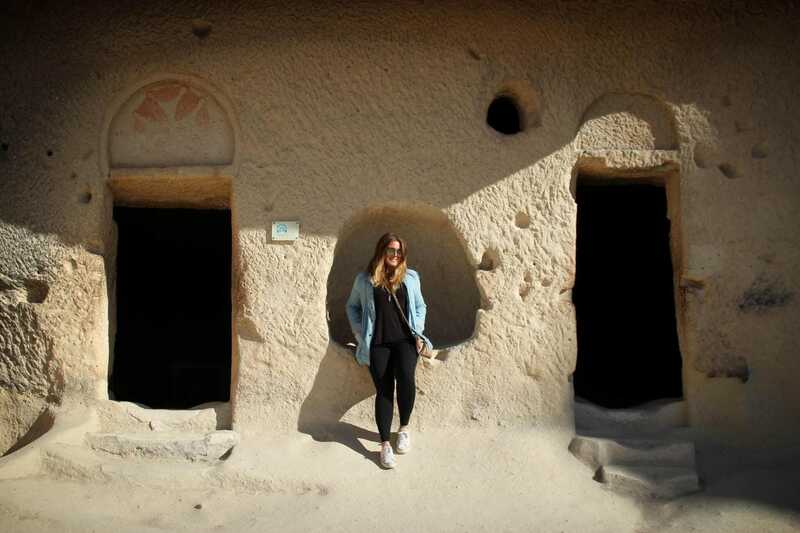 Most of the churches encompass a tiny room within the cave, and while they were extremely simple, it was fascinating to see. Imagining the work that went into carving and painting these churches is incredible. We arrived an hour before closing so we had to rush through a little quicker than we anticipated. We did end skipping 2 of churches to save time but felt we had gotten the gist of it by the end. I didn’t know what time they closed, so we were taking our sweet time walking through. The security guards in front of each church were eagerly waving us in and we were like, “wow.. they’re really excited..” Then we noticed they were locking the doors on our way out. They were just excited for us to leave, haha. 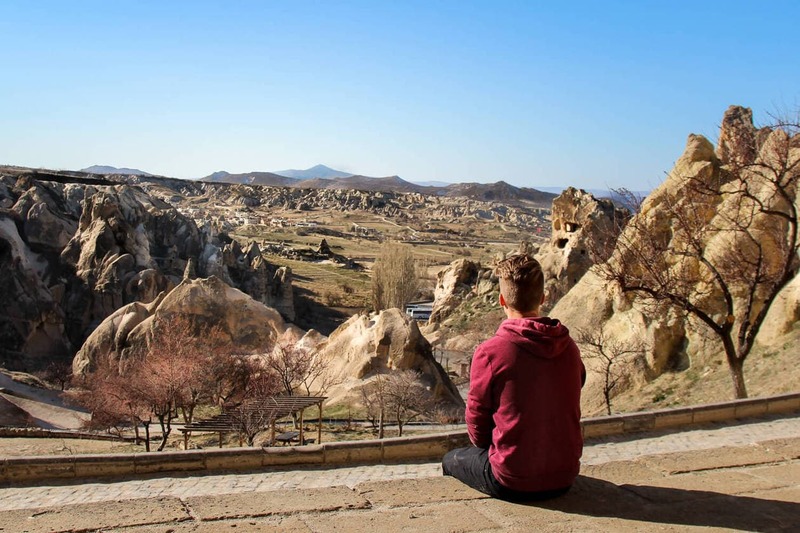 The Goreme Open Air Museum is the most popular attraction in Cappadocia so prepare yourself for large crowds and tons of tour groups. 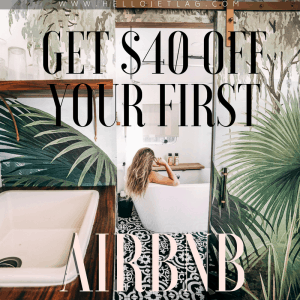 Only 20 people are allowed in the churches at one time so there might also be lines if you’re visiting during peak season. I’d suggest going first thing in the morning, or about 2 hours before they close (after the tour groups have left). Arriving later in the day was perfect because aside from maybe 5 other people, we had the entire museum to ourselves. There are signs on the outside of each church but the information is pretty basic. We didn’t know what we were looking at most of the time, so a lot of the importance was lost on us. 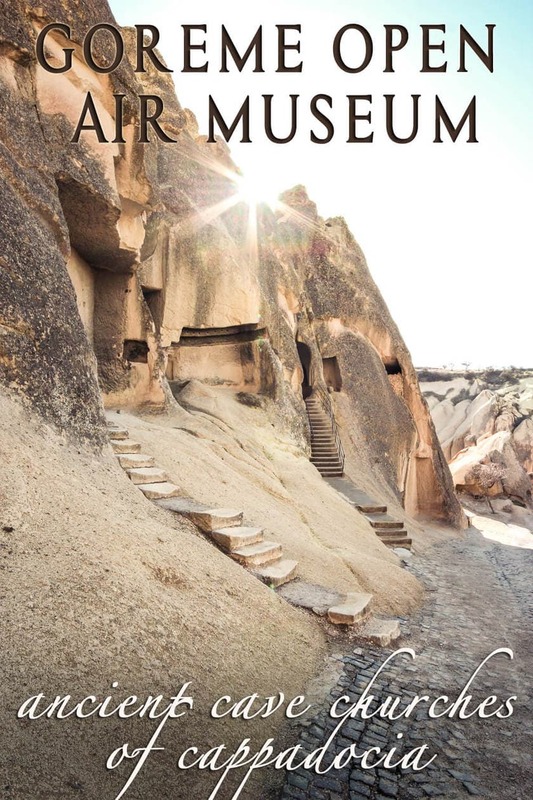 If you’re at all interested in the history of the region, I would rent an audio guide (5TL) or hire a guide to make the museum come to life. You’ll be walking around outside for a several hours with very little shade. Even in early March, we got burned. 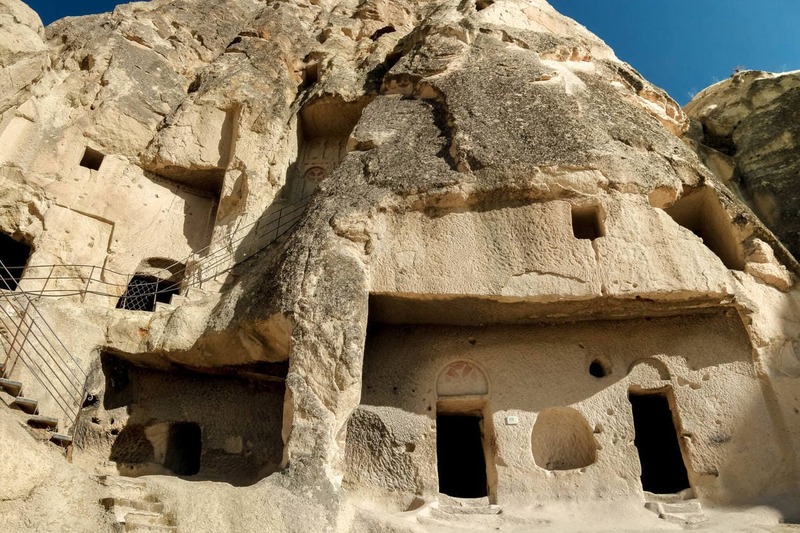 Karanlık Kilise, or the Dark Church, is the best preserved in all of Cappadocia. It’s called the Dark Church because of how little natural light gets in. This is also the reason the the paintings on the walls are still so vibrant and intact. To go inside it the Dark Church it costs 10 TL extra and you pay at the entrance of the church. No photos are allowed inside. Honestly, I didn’t find it to be worth the added cost. The paintings are more detailed and preserved, but I was expecting more than what we’d already seen. We only had an hour because they were closing and I wish I had a little more time to take photos and walk around the grounds. If you’re interested in the history and want to take your time in each church, you’ll need closer to 2-2.5 hours. 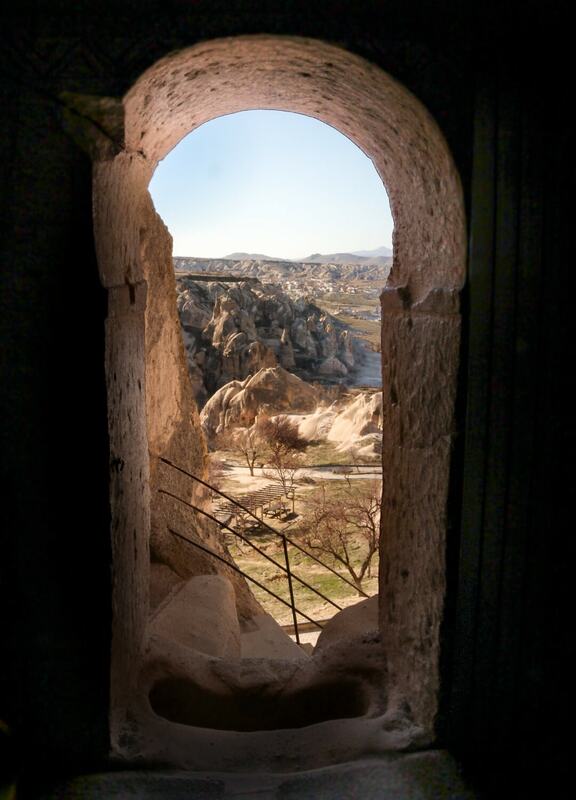 From Goreme, follow Müze Cd going east. There are plenty of signs. 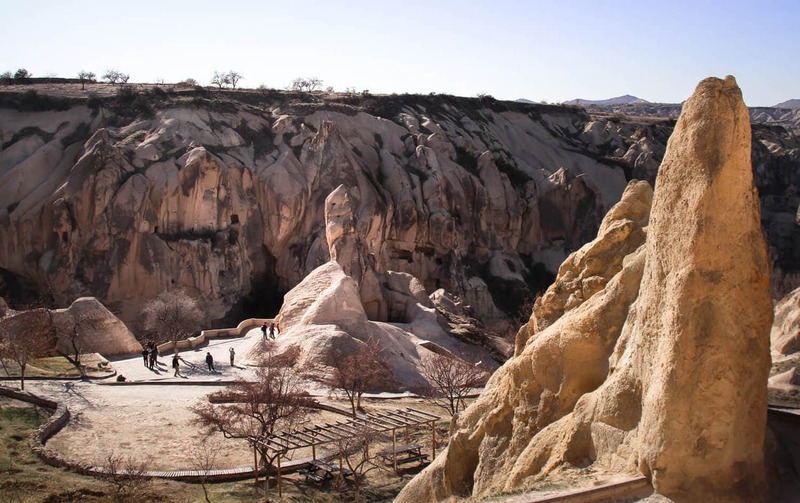 The Goreme Open Air Museum is only 1 mile (1.7km) from the town center but know that if you are walking, the road does take you up a steep, winding hill. You will also be walking on the road alongside cars, so be careful if you’re heading back after dark. If you are driving, there is plenty of parking near the entrance of the museum.